and find inspiration, authors, and books – lots and lots of books! I will be part of this lovely Book Fair, which began some years ago as part of the Tenby Arts Festival. The fair has outgrown its home and we can now be found at the Queen’s Hall, 44 High Street, Narberth, SA67 7AS, and you can also visit the Narberth Food Festival on the same weekend, what could be better? Great books and delicious food all in one place! You will find many authors and their books from 10am to 4pm, and attend a variety of talks and book readings all FREE… and with only 13 weeks ‘til Christmas this is your ideal time to start shopping for that bookworm in your life, or just treat yourself! I will be signing and selling copies of the Hope Within Novels, and my new release this year A Symphony of Dragons, a collection of dragon themed short tales. 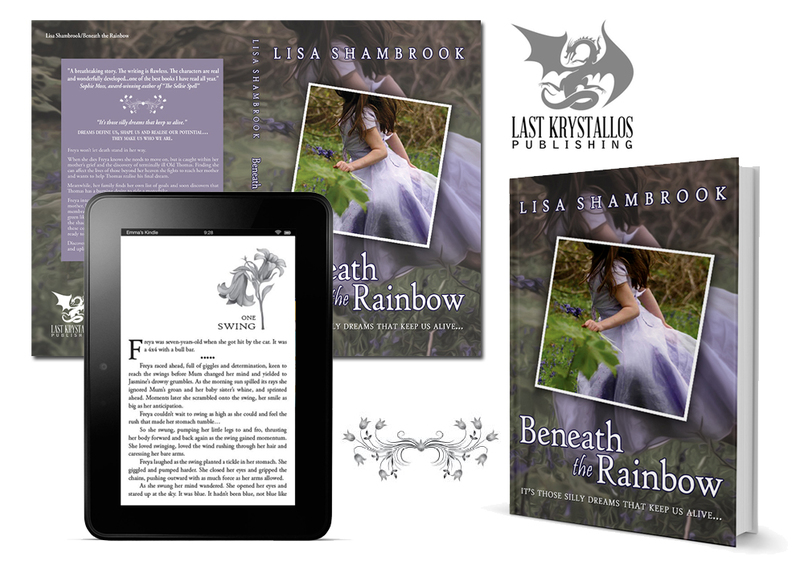 And to make it even better I have a fantastic SPECIAL OFFER for buyers at the Book Fair – When you buy A Symphony of Dragons you will also get a FREE copy of Beneath the Rainbow. All my books cost £5 each at Book Fairs which is a significant discount on Paperback prices online or in stores…and I’d love to see you there! This entry was posted in A Symphony of Dragons, Authors, Books, Hope Within, indie Authors, Interviews, My Books, Reviews, short stories, Wales and tagged author, Authors, book fair, books, buy books, buy my books, Narberth Book Fair on 20th September 2017 by Lisa Shambrook. I promised a cover reveal…and here it is! Joni and Vern at Blue Harvest Creative, once again took my photographs and made something wonderful that ties in perfectly with its sister books. Though the three books are standalone and can be read seperately, the covers link them and create an appealing arc that follow Freya through her rainbows, and Meg with her old oak, and become complete with Jasmine and her distant star. Jasmine feels like the ghost of the sister she can no longer remember. Her existence reminds her mother she has something her sister never will – life, and their fragile relationship shatters. Jasmine craves love and acceptance, but refuses to be her sister, Freya, and fights to become her own person. Life becomes a battleground as she disregards the rules and resolves to live her life to the extreme. Jasmine’s reckless abandon threatens to destroy the very thing she needs most. 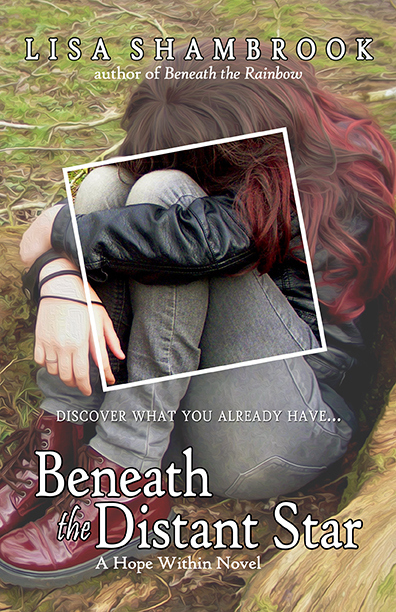 This entry was posted in Books, My Books, Writing and tagged author, Beneath the Distant Star, Blue Harvest Creative, books, cover, cover reveal, design, Lisa Shambrook, mu books, writing on 7th October 2015 by Lisa Shambrook. I discovered Sophie’s gorgeous sensory writing through several flash fiction contests, which led me to read her evocative Seal Island Trilogy. From there I’ve eagerly waited for more from this expressive author. 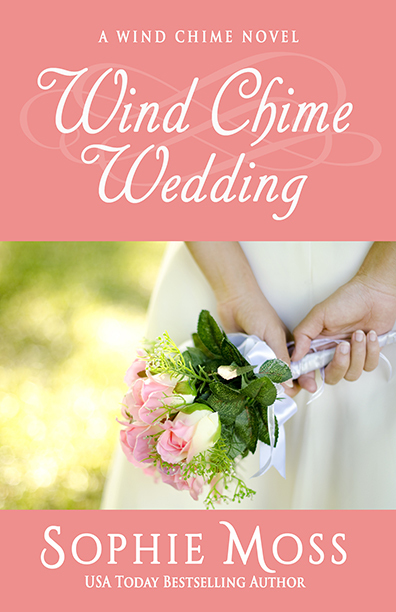 I’m honoured to close this series of Author Features with one of my favourite writers, especially after I’ve just finished her latest new release ‘Wind Chime Wedding’ and loved it! You can check out my review on Goodreads. I fell in love with your Selkie books, fantasy romance with fairy tales thrown in, and I quickly became engrossed in Wind Chime Café. 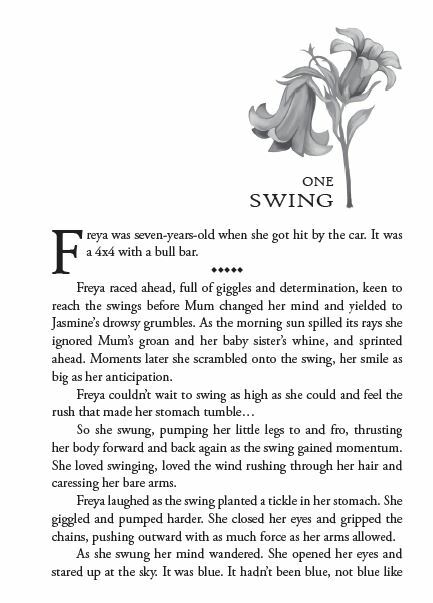 What inspired you to change direction from fantasy to the new Wind Chime series? I had actually written about a third of a book very similar to Wind Chime Café several years ago. It was right after the recession hit in the U.S. and the war was going on strong and I wanted to write about a military man on leave coming back to his hometown and meeting a single mother who’d moved there to open a cute little cafe but who didn’t know how to cook anything but casseroles. I stopped writing the story about halfway through for a lot of reasons (and it’s very different from the final product of Wind Chime Café) but when I finished the selkie trilogy (or at least pressed pause on it for a while) I decided to revisit it. I noticed that café books were doing really well at the time, books on Navy SEALs were growing in popularity, and small town contemporary romances were becoming huge. So there you go. 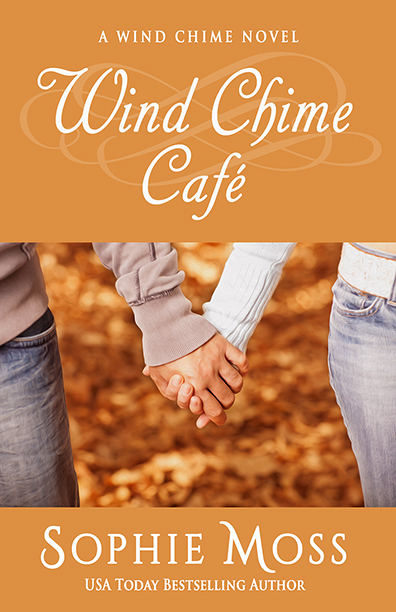 Your characters are beautifully drawn, with intricate histories and depth, for example Wind Chime Café has an ex-Navy SEAL, and a great baker, Wind Chime Wedding has a teacher in its main role. How much research goes into your characters and their background stories? I do a ton of research. While writing the first Wind Chime novel, I read almost every book written by a former Navy SEAL to get a sense of who they are, what their lives are like, and what issues are important to them. I also do a lot of research online—reading articles, watching you tubes, etc. It’s very important to me that my characters come across as authentic. I love the beauty of your writing which matches your locations. I know your Selkie series was inspired by a visit to Ireland, where did you get your inspiration for Wind Chime’s Heron Island? Heron Island is loosely modelled after Tilghman Island, a real-life island only thirty minutes down the road from where I grew up. It’s a place known for sailing, fishing, and crabbing. It’s home to some of the last few hearty souls who still pull their living from the water. It’s one of the only places on the Eastern Shore that is relatively undeveloped. One of my favorite things about starting to write a new series is getting to know the place where my characters live. I’ve always been drawn to island settings, both in reading and writing. There’s something so soothing about being surrounded by all that water. The pace of life is slower. Neighbors look out for each other. Everyone knows everything about everyone. Myself, reading Wind Chime Wedding on my Kindle! So far, we know you for romance, are there other genres you’d like to explore, or is romance where your heart lies? I will probably always write love stories. I’m a hopeless romantic. Nothing warms my heart more than a well-earned happily ever after. So, if you want romance – you know exactly where to look! Sophie Moss is a USA Today bestselling author of five full-length romance novels. She is known for her captivating Irish fantasy romances and heart-warming contemporary romances with realistic characters and unique island settings. As a former journalist, Sophie has been writing professionally for over ten years. She lives on the Eastern Shore of Maryland, where she’s working on her next novel. When she’s not writing, she’s testing out a new dessert recipe, exploring the Chesapeake Bay, or fiddling in her garden. Sophie loves to hear from readers. Email her at sophiemossauthor@gmail.com or visit her website to sign up for her newsletter. Find Sophie on Facebook and @SMossWrites on Twitter. She’s also on Goodreads and Pinterest. Sophie is also, like myself, a BHCAuthor. 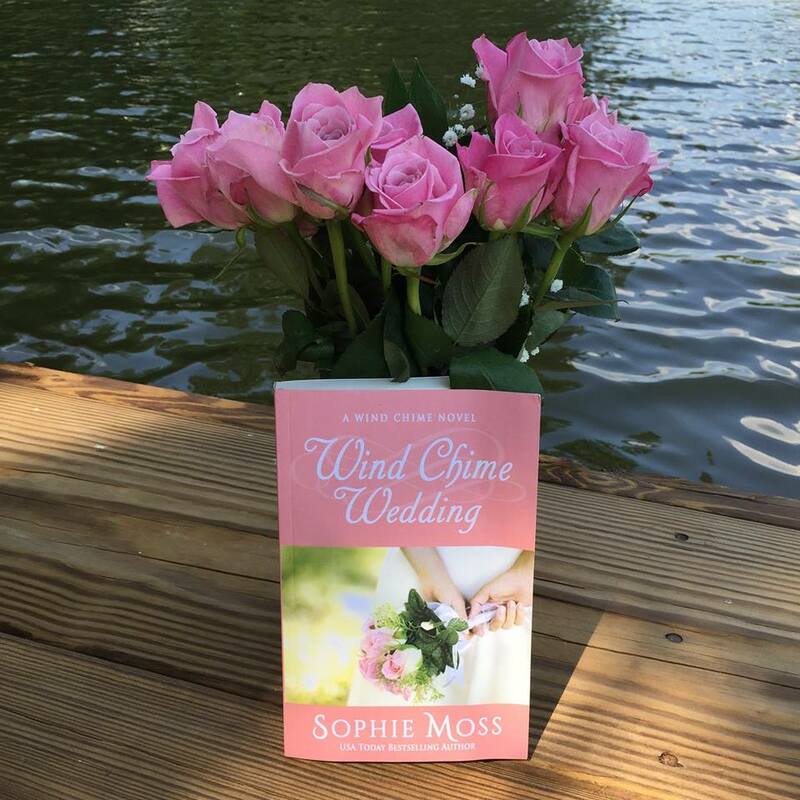 This entry was posted in Author Interviews, Authors, Books, Interviews and tagged author, author feature, author interview, books, fiction, island, love, romance, Seal Island, Sophie Moss, Wind Chime, Wind Chime Café, Wind Chime Wedding on 10th July 2015 by Lisa Shambrook. This is why we read. Thank you so much for all those who voted in the poll, I appreciated your time and responses. As an author it’s valuable to understand the reasons why people read. 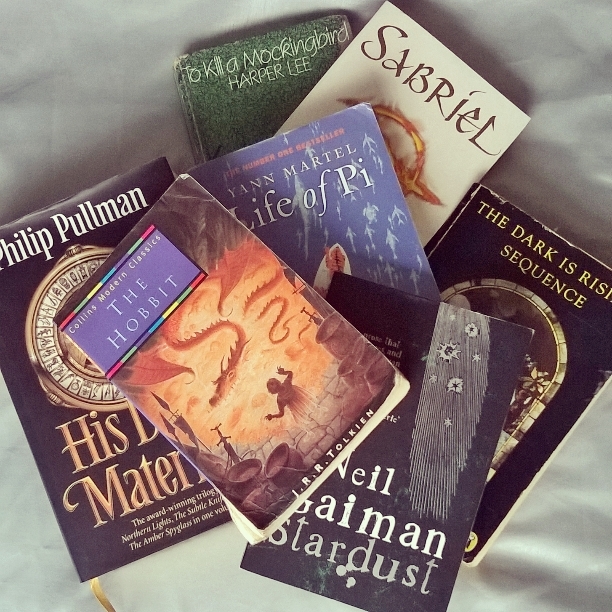 As writers we read much of the time we’re not writing, but sometimes we become so absorbed in our own little worlds, it’s good to remind ourselves of the motives readers have for indulging! Research, to be a better writer! Ideas! To discover new ideas and new perspectives! I want to know everything…and…read every single book ever written! I can attest to all of these, especially how reading improves both my writing and my sanity! As an author, I need to know my market, my subject, and what’s already out there – reading and research aids this. 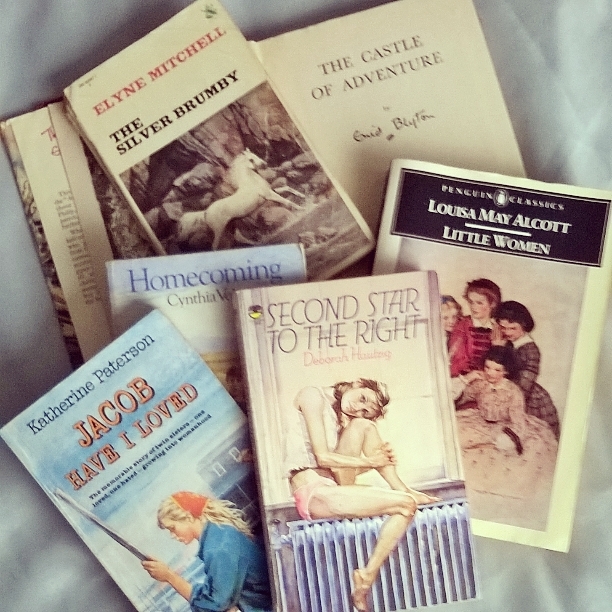 And to the final answer I replied: so many books so little time – the reader and writer lament! 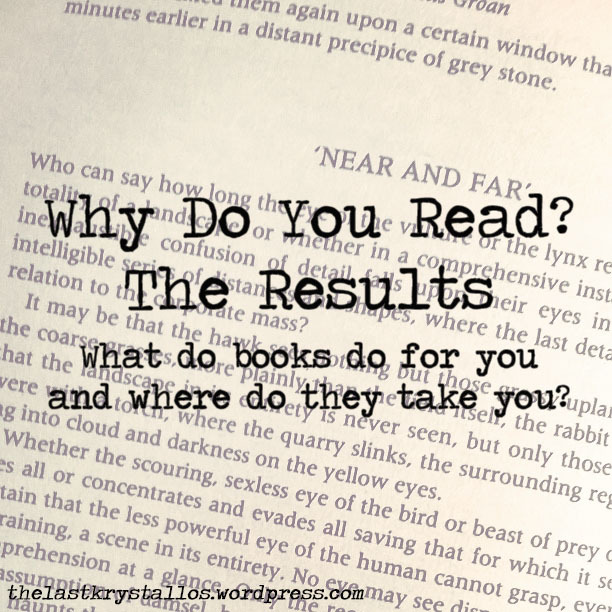 In conclusion – the most popular answer is to escape…over a fifth of us choose to leave the world behind to escape into another world, to have an adventure, as our main reason for reading. I know many people chose multiple answers, and our reasons are varied and sometimes complicated, but the one most of us choose is to escape. Reading offers a chance for our brains and our minds to breakout of the lives we lead, to indulge in fantasy, dreams, diversity and essentially time to let our minds catch up with our souls. I read for escape, for emotion, for encounters that I cannot experience myself and I read to diversify my life. I want those highs and lows, I want to feel crushing pain and soaring joy – I want to know I’m alive! I’ve included pictures of some of my favourite books – they have broadened my horizons, encouraged me, informed me, and helped me escape. I’ve wandered through the Misty Mountains with Bilbo, I’ve raced across the ice fields with Lyra on the back of a polar bear, I’ve searched the library and the Old Kingdom with Lirael, I’ve sailed upon a surrealist ocean with Pi and his tiger, and I’ve been there when the dark rose. I’ve learned about the holocaust and survival, and wept, with both David and the boy in the striped pyjamas, I became what I was, I learned about the power of memories and colour from Lois Lowry, and Loser didn’t lose. I was delighted by the little Prince, and intrigued by the alphabet. I cried with Beth and loved with Jo. I was anorexic, I loved like no other, I had adventures with the Famous Five and I fell in love with silver brumbies. Books bring me home, they take me away, they let me live and love and when stars fall I know they can still shine! This is why I read. Tell me where books have taken you? 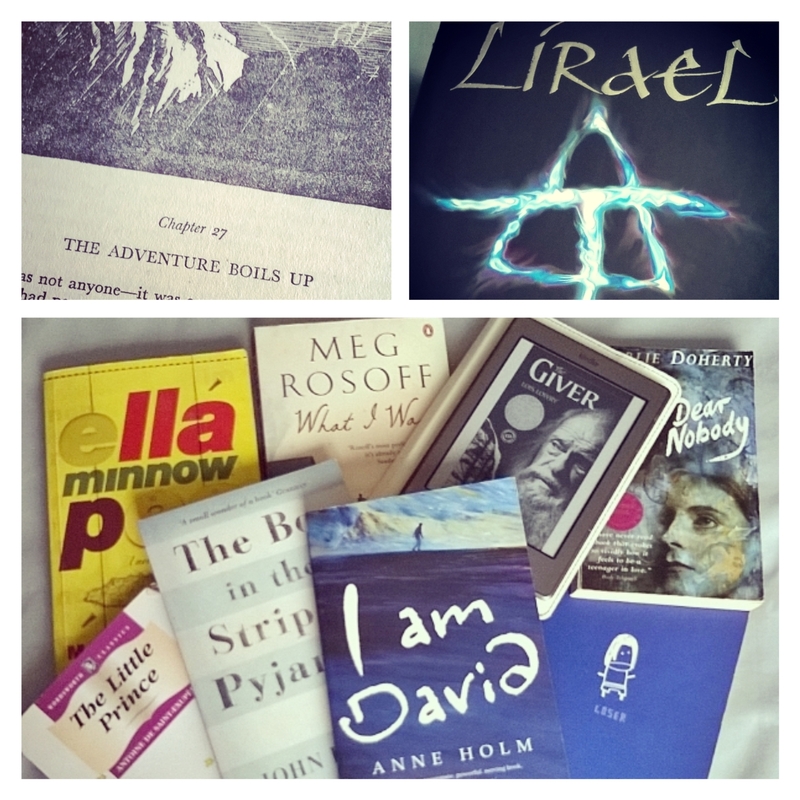 This entry was posted in Authors, Books, Fiction, Reading, Writing and tagged adventure, author, books, classics, Dreams, emotion, escape, experience, fantasy, learn, library, reader, reading, school, understand, what do you read, why do you read, writer, writing on 8th July 2015 by Lisa Shambrook. 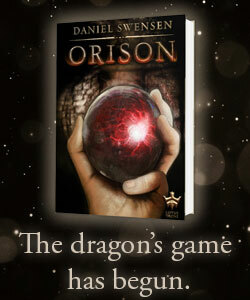 Captivating, riveting, fast-paced fantasy – ‘Orison’ enchanted me. in the second of my Author Interviews. If you haven’t read ‘Orison’ yet, do. Your writing is intense, intelligent and dynamic, and I was immersed in Orison’s plot and characters as soon as I began reading. What helps you to immerse yourself in the writing process? Thank you! I would say the main tool in my writing process (besides Scrivener and the act of writing itself) is music. I have a set of playlists that I cue up on my computer whenever I sit down to write. They’re mostly made up of movie soundtracks, ambient, and orchestral stuff, although there are a few songs with lyrics. When I first wrote the draft of Orison, I had a “high gear” playlist for the battle scenes and a “low gear” playlist for the calmer, more introspective parts of the story. The familiarity and rhythm of the music helps me get back in the proper headspace for writing and helps me disappear into the world of whatever tale I’m telling. Persistence is also key for me. When I first sit down to write, I always struggle with self-doubt, second-guessing, and a rising conviction that whatever I’m writing is terrible. I just have to keep going until I push past that threshold and can start the real work. It’s like the endorphin rush when you exercise — if I can just hold out long enough for that to kick in, I’m fine. When my daughter read Orison she immediately wanted to cosplay Story, do you have a favourite character in the book and why, or why not? That’s tough. “Favorite,” to me, implies that I’d pick them above all the rest, and I can’t quite do that. I love all the characters. I love how they play off each other. Those bonds and conflicts are what the book is really about. So I feel to take any one of them alone would diminish them. That said, I loved writing Story because in my own reading, I was having a tough time finding the kind of female protagonist I wanted to see… so I just wrote her. I’m really happy with the results. I love her determination and self-reliance. I love Wrynn’s dry wit, Dunnac’s sense of honor and stoic humor, and Ashen’s struggle to fit into the world. If I had to pick a favorite reaction to a character, it would have to be how readers have responded to Ashen. I didn’t really expect him to be a fan favorite, but so many people who have read the book have expressed their enthusiasm and love for the character. I’ve already had some ask when he and Camana are getting their own book! So, I hate to dodge the question, but I couldn’t really pick a favorite. I love them all too much. I would love to see a Story cosplay, though. I’d feel like I’d “made it” as an author. If Orison made it to the big screen, which it totally should, who would you love to see playing your characters? While writing Orison, I actually did some “casting,” to help me find the voices for certain characters. I’ve actually had this conversation with readers, too! There’s a website called The Imagine Film List where you can propose actors for books if they were to get adapted into movies, and people made some amazing suggestions over there. Like Simon Pegg for Wrynn and Idris Elba for Dunnac — actors I never would have thought of myself. One reader said Danny Trejo should play Ashen, which I think is an amazing idea. The iflist page for Orison is here. 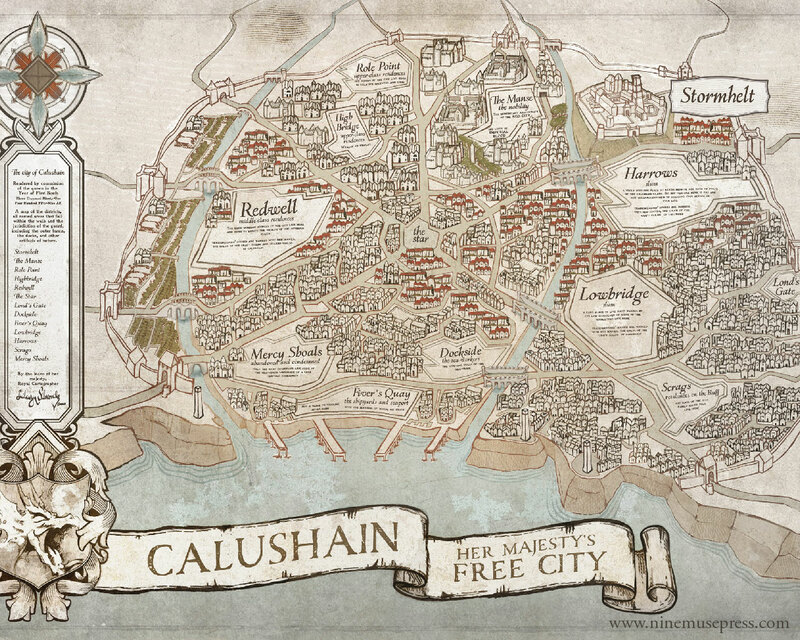 Are there other stories from Calushain, what can we expect from you in the future, and are there other genres you’d like to explore? There are more stories in the works! 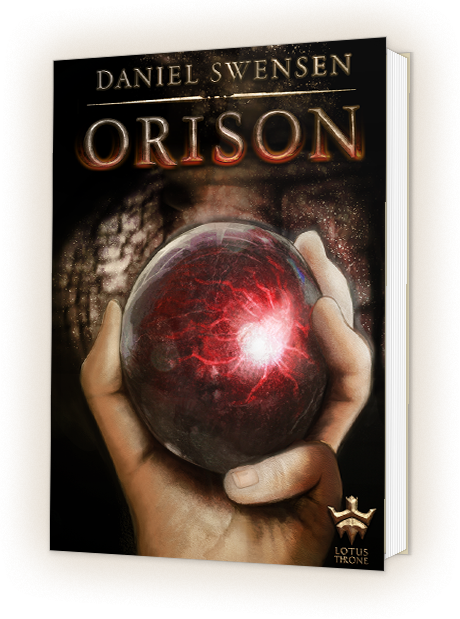 I have been working on the Orison sequel, Etheric, for a little over a year now, and still hope to have it out in 2015, although there’s no official release date and I can’t promise anything. After that will be a third (and final) book in the series. I’m also working on another book in the same world, about a young woman finding a fallen dragon-god in the snowy north. The working title is Beneath the Broken Sky, and if all goes well, that might be in people’s hands by 2016. Again, I can’t make any promises. I’m not entirely sure where I’ll go after that. For some time, I’ve wanted to expand the characters and events of my short story Burn into a full-length urban fantasy novel (or series), but Story and company are taking up all my creative efforts right now. I also want to start generating more short fiction, but I’m learning that staying focused and diversifying my writing efforts is a unique challenge! We often talk of the need to create or write because of an innate desire, what does writing do for you? The written word is an amazing thing. It lets us communicate information across boundaries of time and space, with people from faraway places who are hundreds of years dead. You can make up a story — characters and situations that are wholly fictional — and if you do your job well, people will react as if those characters were real. They’ll laugh and cry and mourn and feel intense emotions for people and events that never existed. I think that’s extraordinary. Stories are incredibly powerful. More powerful than reality itself in some ways, I think. But to be honest, I’ve never been one of those writers who sits down every day with unbridled enthusiasm for writing. I’m not wired up that way. My stories tend to grind out slowly, and contentment only happens on the far end of a lot of hard work and anxiety. Those moments of frisson where everything just jumps to life and the prose flows like water — that’s maybe one day a year for me. Two if I’m lucky. The rest is all a hard push through thick mud. But the connections that I’ve made with people through my writing — the wonderful writers I’ve met, the readers who share their joy with me after finishing something I wrote — they make all of that worthwhile. That’s why I write. That’s where I get to feel the incredible power of the written word: by sharing it with others. A great insight into the writing world of Daniel Swensen, and I am so excited for Etheric! You can find Orison released and available to buy through Nine Muse Press and also available at Amazon.com Amazon.co.uk, all other local Amazon stores and Barnes & Noble in eBook and paperback. Burn is also available at Amazon and Barnes & Noble. You can find out more at his Amazon Author Page and on Goodreads. Daniel blogs at Surly Muse and is represented by Nine Muse Press. This entry was posted in Author Interviews, Books, Writing and tagged author, author interview, Burn, Calushain, Daniel Swensen, Etheric, fantasy, fiction, interview, Orison, short story on 19th June 2015 by Lisa Shambrook. the author of newly released The Adventures of Katie Button. 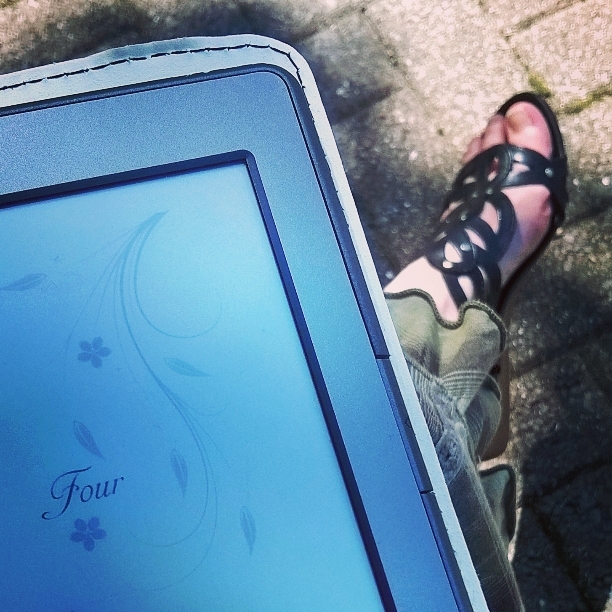 If you’re looking for a fun read, you’ll have just that with Katie! I’ve known Lizzie for a while, having written on the Flash Fiction circuit with her, and she’s one of the most genuine people I know! She’s cheerful, warm, passionate and fun, and her writing reflects her personality. Katie Button is fun, ditzy, distracted, and passionate, is she like you, Lizzie, or did you create her entirely from imagination? Haha, good question. Katie Button is pure fiction. However, I like to think I’m a fun person to be around. My lovely Yankee Doodle Dandy friend, who I work with, is the ditziest person I know so maybe hanging around with her for a decade has rubbed off in my writing. As for the passion, I don’t think I’d be here now, talking with you if I wasn’t passionate. Without passion, a story can fall flat, without passion there’s no drive. So yes, I’m extremely passionate. This book came out of NaNoWriMo, did you always want to become an author, what made you write about Katie Button? I actually always wanted to become a police officer which I achieved. That was the only job I planned for. The rest of my life just happened, including writing. After successful flash fiction pieces, I heard about Nano and thought ‘why not?’ I love the excitement of deadlines and writing under pressure. And doing it alongside friends, Nano didn’t feel impossible. I don’t know where the idea came from for Katie Button. Probably during the night where most ideas decide to pop into my head! In fact Katie started out as Emily but Hubby said he heard the name Emily Button somewhere so we googled it and turns out it’s a rag doll. How he knew that, I don’t know. So Katie was born. I wanted a fun, memorable name but also a name that would work across history, alongside my highwayman flash fiction piece. But I didn’t feel confident in writing a full blown historical piece so my novel sort of shaped itself as I wrote. If Katie made it to television, would you love to see her in a movie or a TV series, and who would you love to play her? I have a secret board in Pinterest, showing my characters. I was going to share but then I didn’t want to put ideas in my readers heads as to what they looked like as people generate their own idea of characters. But on my Pinterest board I have Emilia Clarke from Games of Thrones (which I can’t watch as too violent for my fluffy mind). She has that cute, girl next door smile and looks bubbly and fun. And she’s British which is vitally important, don’t want another awful attempt at a British accent although Renee Zellweger’s Bridget Jones was fab. A movie would be fantastic a la Richard Curtis. I’ve read much of your flash fiction and short stories, and you’re able to write in many different fields. Did you always want to write romance, will you write more romance, or are there other genres you’d like to explore? I love romance. Everybody needs some romance in their lives. To be honest, I though it was all I could write as it was all I read. Sophie Kinsella and Lisa Jewell are my favourite authors and I devour their books! 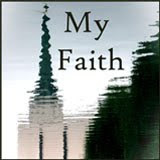 Flash fiction opened my mind and broadened my horizons. I’ve written about a zombie apocalypse, vampires, dabbled in a bit of steampunk and horror. But the romance pulls me back. So more romantic shenanigans from me but maybe with different settings. There’s a Katie Button sequel in the works. But never say never. I mean Katie Button started with a piece of flash. I do like a challenge! Writing is a form of relaxation after a long day at work. I find it very therapeutic and satisfying just tapping away at the keys, in my own little world, shutting out the TV the boys are watching, and talking with my characters. I don’t write everyday (I know I should) but that doesn’t mean I’m not thinking about plots and characters. Sometimes I just need to sort out in my head where it’s going before I commit to paper. By sort, I mean hold conversations in my head between my characters and me. Of course, writing for me is not a solitary activity. When you write a piece of flash, you read other submissions, you leave comment. You share and talk about it. It’s a sense of belonging and achieving something I love most. Thanks so much for joining me, Lizzie, you’ve given us a lovely insight into your writing and ideas! You can also find her on Pinterest, Instagram and LinkedIn. 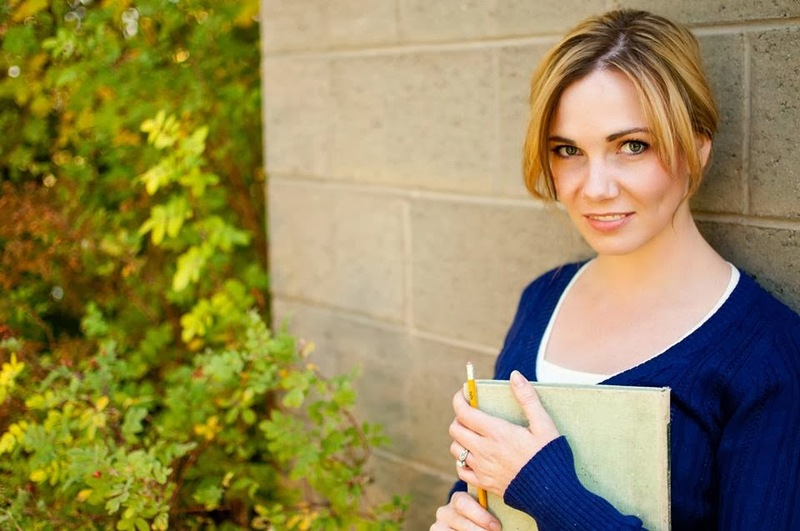 This entry was posted in Author Interviews, Authors, Books and tagged author, Book, chick lit, Crooked Cat Publishing, fun, Katie Button, Lizzie Koch, romance, The Adventures of Katie Button on 12th June 2015 by Lisa Shambrook. This is my first official post on my new WordPress blog, after migrating everything from Blogger, and it’s a pleasure to dedicate it to Blue Harvest Creative. Blue Harvest are a design team who put their heart and soul into not only their work, but their clients too! When I wanted to reformat my novel and get it into print, I consulted Blue Harvest. I’d seen their design work on other authors’ books and was impressed…and with their competitive rates, they should be your first stop, and probably your last! What I had yet to discover was just how far they go above and beyond. I knew how busy they were yet I felt like I was their only client due to the attention they offered me. Their work is first class and I loved the results, a great eBook and full print cover wrap. The interior formatting is the most superior I’ve come across and chapter heading art was something I’d only dreamed of. A running theme throughout my book is bluebells and I asked for bluebells on each chapter heading…I got it, beautifully. Everything I asked for…and much more, my own imprint, time to talk through the publishing process and anything else that I needed. A group of BHC author’s decided that today would be a Blue Harvest Creative Appreciation day, and I’m happy to join in and promote their wonderful work. 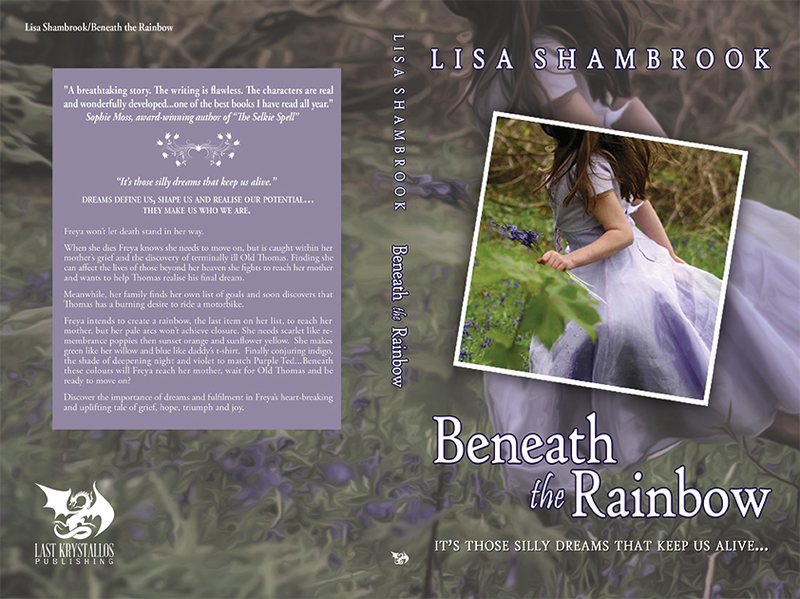 This entry was posted in Books, My Books and tagged author, Beneath the Rainbow, Blue Harvest Creative, books, Lisa Shambrook on 12th January 2014 by Lisa Shambrook. I’ve recently had the pleasure of discovering ‘Oceanswept’ by Lara Hays…I’m just a short way in and I’m hooked, so it’s lovely to have the opportunity to find out more about the author behind the book, and get some fascinating insights into pirate life! How long have you been writing, and when did you begin to realise your dream of becoming an author? I have been writing as long as I can remember. I still have the first story I ever wrote: a crayon-written story about two dinosaurs in love separated by a volcano. It was even a chapter book. I was probably about six when I wrote it. I wrote constantly throughout my life, starting many unfinished novels. 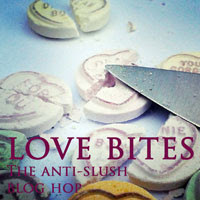 I had short stories and poetry published as a teen. Looking back on my life, I’ve realized that even if I wasn’t writing, I was always storytelling. I was very involved in theatre, journalism, and even as a child the way I played was always about telling stories. I currently work as a copywriter for an international wellness company. I feel so blessed to write for a living and get paid salary with benefits. I’ve always wanted to be a novelist, though. 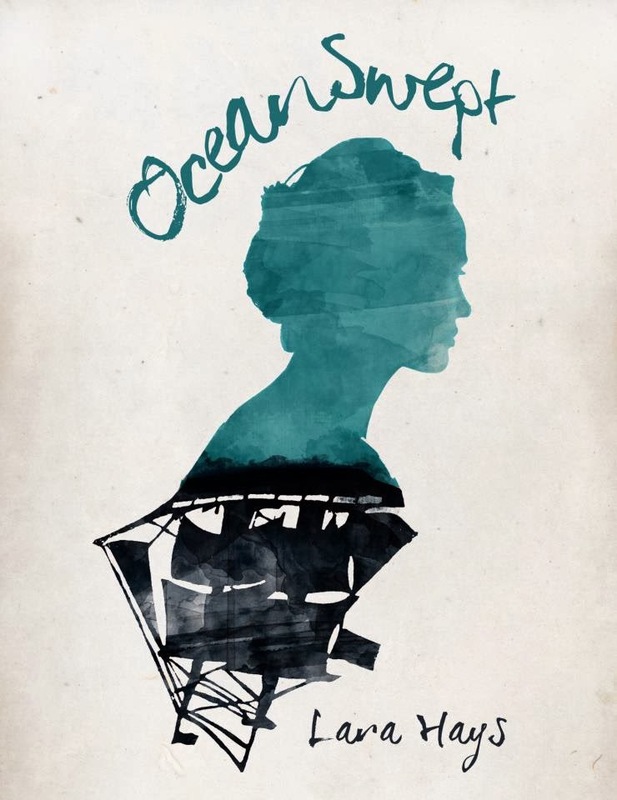 Oceanswept was the first novel I ever completed. I finished it in 2007 and buried it away but I couldn’t forget it and after five years, I decided to dust it off and publish it. ‘Oceanswept Chronicles’ follow pirates, and romance, and life on the high seas, can you tell us what inspired you to dip into this genre? There is something self-indulgent about this story for me. I truly went about writing a book I would love to read. I love the young adult genre, I love history, I love the ocean and sailing (thanks to a few amazing historical novels like The True Confessions of Charlotte Doyle by Avi), and I love romance and adventure. But interestingly enough, I think the elements that drew readers to vampire romances are all here: star-crossed lovers, a dangerous hero, a bold heroine, mortal peril, and redemption and hope for a better future. Have you enjoyed researching 18th century life on the ocean, could you have coped with life in those days? I love history and so book research is something I love to do. I’ve had a few hiccups though. I initially intended to set the story about 30 years earlier (1690s) than its current time frame of about 1720, but had difficulty with research materials. By moving the setting back a few decades, I had a lot more resources. Researching pirates has its own challenges. Aside from a few journals of the time period, there aren’t a lot of reliable first-hand accounts of life among pirates. Our current stereotypes come from romanticized literature that concocted pirate jargon, attitudes, and practices that probably did not exist. Walking the plank probably never happened and pirates likely didn’t say “shiver me timers.” Our modern view of them is still very romantic when in reality they should probably be compared to terrorists and inner city gangs. Coping with life in the 1720s…I wouldn’t deal well with the lack of wifi. I would struggle with the role of women in society. Hygiene as well. All this historical love stories are very romantic as long as we don’t think too much about their personal hygiene. I’ve gone to a few book clubs that have read Oceanswept and women always bring up menstruation, which I find an odd thing to fixate on but apparently it’s universal. In the books, Tessa spends months at a time on board ships. People want to know how she dealt with her period. Apparently that is a concern for us modern women used to our modern conveniences, but for Tessa, it was a part of her life as mundane as keeping her fingernails clean. What can we look forward to after ‘Undertow? I have two books in the works right now. One is an adult fiction piece that follows the emotional journey of two women on different spectrums of the adoption world and the unconditional love for a child that unites them. As an adoptive mother, this book is very personal to me and my own experiences with infertility and adoption have colored the tale. The final book in the Oceanswept Trilogy. I have it fully outlined…I need to get some other things off my plate so I can jump in! I miss my characters already and I’m excited to get back to them. And you can expect more Oceanswept Chronicles along the way. Share one positive thing that writing does for you. Writing is therapy. It helps me examine my own life and my own emotions while creating deeper empathy for others. Writing helps me process the emotions behind my infertility struggles and adoptions, my mother’s unexpected death, or even just a bad day at work or an argument at home. It’s definitely therapeutic—and cheaper! The sway of playful palm trees and never-ending sunshine seem like a fantasy compared to the smog and filth of 18th century London. Thrilled for a new life in the exotic West Indies, privileged seventeen-year-old Tessa Monroe eagerly embraces her father’s reassignment to the fledgling Caribbean colony of St. Kitts where she can stake her claim as an up-and-coming socialite. But that dream unravels when a hurricane downs their ship on the passage from England, leaving Tessa as the sole survivor. Rescued by a passing ship, Tessa’s grief soon turns to terror as she realizes she isn’t a passenger—she’s a captive. With a future of slavery in the offing, Tessa joins forces with Nicholas Holladay, a charismatic sailor ready to break free from a life of piracy. Mutiny is in the air. Tessa and Nicholas will either win their freedom or earn a spot at the gallows. 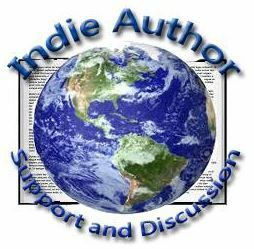 This entry was posted in Books, Interviews and tagged author, high seas, Intruder in the Brig, Lara Hays, Oceanswept, Oceanswept Chronicles, Pirates, review, Stowaway, Undertow on 9th December 2013 by Lisa Shambrook.